Yes, bladder stones are extremely common in dogs, life threatening in male dogs, and common as crystals in cats. 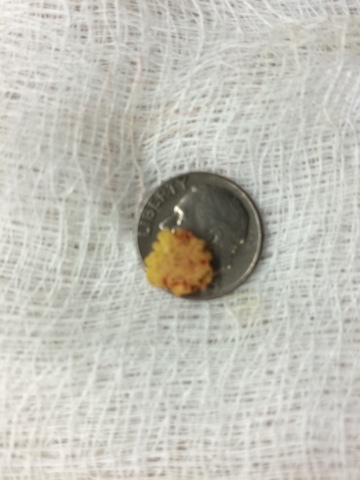 Our last stone removal was in a cat! Choice of food can and will prevent these stones in individuals that are susceptible. This jagged stone came from a six pound male dog. It was diagnosed on ultrasound. This stone would never have passed not disolved.